1M new jobs. Why aren’t we more grateful? If there’s all these jobs going around, why don’t we feel better off? So the Coalition fulfilled a promise this week to much cheering and back-slapping. Back in October 2013, they promised to create a million new jobs in 5 years. Last week they did it (or the economy did), 6 months ahead of schedule. But scratch the surface, and things aren’t so impressive. To start, it was a fairly unambitious goal. 1 million jobs sure sounds like a lot. It has that wow factor. But it’s actually a fairly ordinary result. Jobs growth since September 2013 has averaged 18,400 a month. 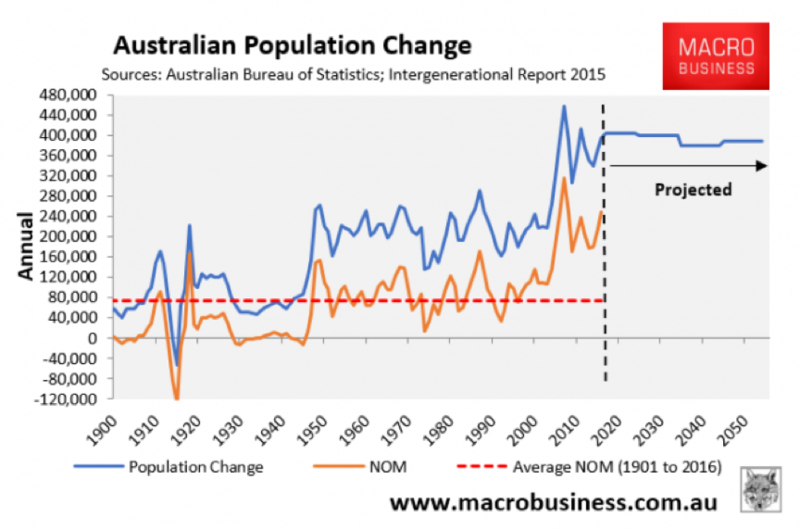 That’s ok, but its only marginally above the 17,230 jobs per month created in the decade to September 2013 – and that also included the jobs carnage of the GFC! So we’re setting the bar pretty low. What’s more, we were starting off a much larger base, so increases in absolute numbers were always going to be easier. So that ‘million jobs in 5 years’ was carefully chosen to sound impressive, but actually be fairly easy to hit. In fact, the only way you probably weren’t going to land a bullseye was if there was some sort of GFC like event – in which case you’d have a perfect scape-goat. So there’s nothing but upside. You get bragging rights without taking any risk. But the more troubling thing is that these jobs figures actually hide some worrying trends. 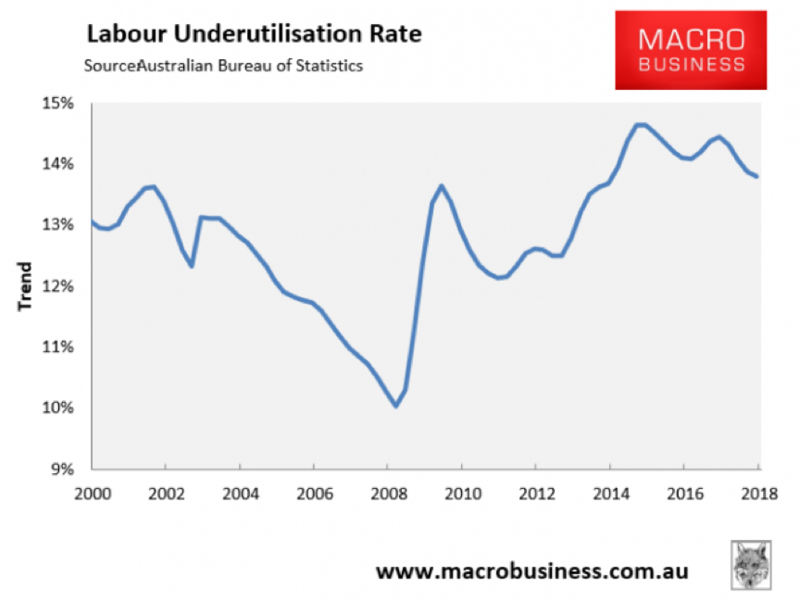 While Turnbull is crowing about jobs growth, the unemployment rate isn’t moving much and the labour utilisation rate (a measure which accounts for falling hours worked) is actually worse now than it was at the peak of the GFC. And we all know that wages growth is going nowhere. So why are we getting these weak signals out of the labour market, while we’re adding all these jobs? Because the reality is that while we’re creating jobs, our population is also growing at a rapid pace, largely through immigration. So all that jobs growth has been necessary to mop up the extra labour supply being delivered by immigration. And that’s why we’re not seeing any improvement in wages or labour utilisation, despite the growth in jobs. What’s worse, as Mark Latham pointed out before he punched someone in the throat, two thirds of these jobs have gone to foreign nationals, thanks to our focus on matching immigrants to skilled vacancies. So as much as Turnbull et al want us to celebrate the raw jobs numbers, those jobs numbers on their own are pretty meaningless. 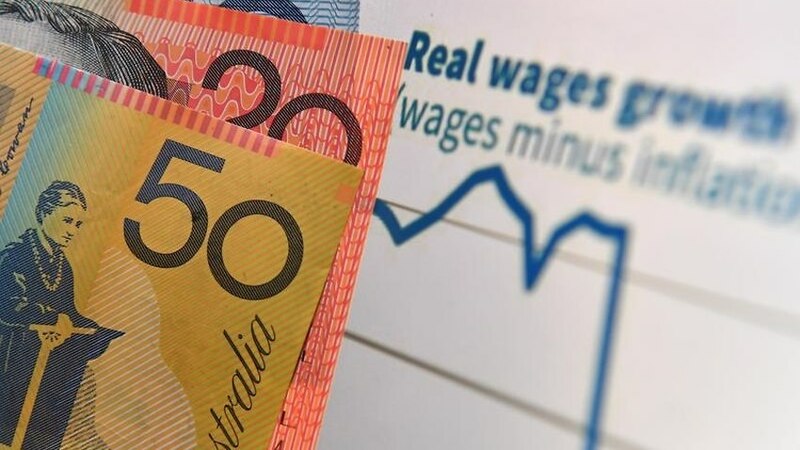 And the numbers that matter most to our standard of living – the amount of hours worked and the wages received – those numbers are actually getting worse. Not that that is necessarily the government’s fault either. We tend to overestimate how much agency the government has in managing the economy, and there’s some pretty massive headwinds coming off automation, AI, and the death of manufacturing. (Actually, they could have done something about that last one). For me, all this points to the need to take our earning potential into our own hands. Stable jobs are great, but they’re becoming a thing of the past. We need to skill up to meet the future. In the mean time, can you spare us all the cheering and back-slapping about some numbers that are, if we’re honest, a pretty lazy result.